Harbor deWaard was a shining light in Big Sky – a little boy who valued community service and helping others. An adventurous soul, Harbor loved exploring the bottom of rivers, the top of Lone Peak and everything in between. It is in that spirit that the Moonlight Community Foundation is honored to announce the Harbor Kingston deWaard Camp Moonlight Community Service Award to Logan Barker (left) and Charlee Sue Dreisbach. 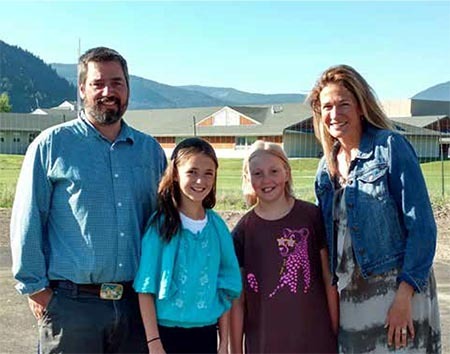 Both Charlee Sue and Logan (pictured here with Board Chair Heather Morris and Camp Director Jeremy Harder) recently finished fourth grade at Ophir Elementary School, and each will attend a week of camp this summer in honor of Harbor. They will also be presented with a Camp Moonlight Harbor Community award superhero cape during their camp session. Congratulations!